Mother Nature has been gardening very successfully with natural fertilizer for eons, and gardeners have been growing vegetables the same way, ever since early man planted some seeds in a little patch of ground. Organic vegetable gardening depends on natural sources of nutrients for the health of the plants, and luckily, many of them are right in arms reach. The natural fertilizer most of us think of when we reach for something to make our gardens grow better is compost. The variability of compost is the part that many gardeners have a hard time dealing with. If you’re new to this whole organic growing thing, then you’ll be struggling with the concept of no measurements, no specific amount to use, and no scientific analysis. Learn how to make the very best compost with these composting instructions to keep you on track. Other natural fertilizer that can be added to garden beds or compost bins is LOF, or liquid organic fertilizer. This specially blended, clean and free natural fertilizer is produced constantly by the most amazing factory on earth – your body. Blood meal is a commonly added nutrient rich natural fertilizer – but it does have some drawbacks. Find out all about blood meal and if it’s right for your garden before adding it to your fertilizing regimen. Terra Preta, or Black Earth, contains some surprising nutrients, such as very slow release carbon. Make your own bio-char for a simple and effective way to have your very own black earth. Alfalfa pellets added to your garden beds are a natural fertilizer in a convenient package. Keep in mind that the added embodied energy in some forms of natural fertilizer offset the benefits of an organically produced nutrient source. Organic fish fertilizer, although somewhat odiferous, is one of the best sources of Nitrogen available. If you don’t have an issue with your dog rolling in the delightfully stinky stuff, then fish emulsion is for you. 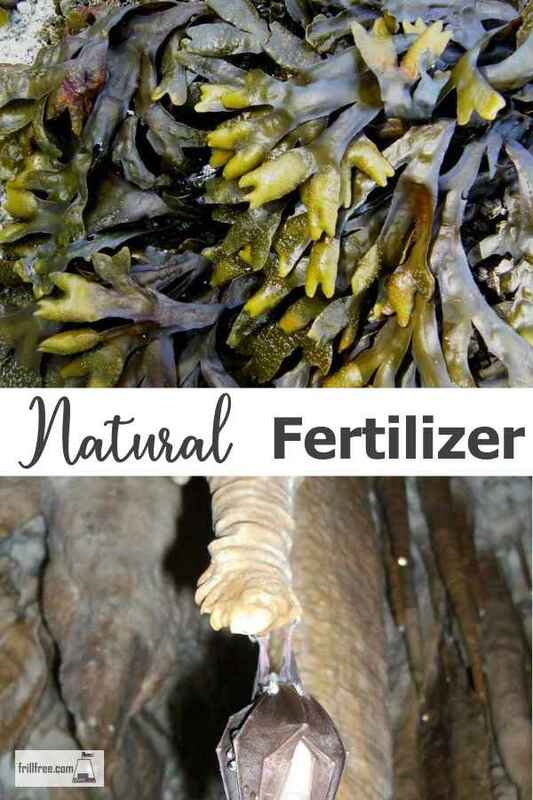 Kelp fertilizer has been relied upon for centuries in areas on rocky sea coasts as a constantly replenished source of nutrients. High in Nitrogen, it also contains many trace nutrients. One drawback of kelp or seaweed as a natural fertilizer is that it contains an abundance of salt, so must be rinsed in fresh water before using. Bat guano fertilizer is obtained from caves in Peru or Venezuala, where bats roost in huge numbers. The guano or manure is collected from below their roosting sites, dried and shipped to Canada and the US. It contains huge amounts of Nitrogen, similar to bird guano or chicken manure, so use with caution. It also has a pungent odor, so if your dog is one that likes to roll in stinky stuff, watch out. Vermicomposting produces one of the ultimate natural fertilizers – worm castings. Growing your own worm farm can produce great quantities of nutrients from what is essentially waste from your own kitchen or garden. Find out more about worm composting and vermicomposting here. Compost tea is one of my favorite natural fertilizers. It contains many nutrients that are released by the action of yeasts and fungi in the air, endemic to your circumstances. You can tailor the exact custom blend that your plants require. Learn how to make compost tea and give your plants the perfect nutrition. Learn how to compost horse manure for one of the highest nitrogen sources available, as well as a great organic matter source. For cheap or free, why not use snow as fertilizer? You can't get much more natural than that.